Making sure that your car is working efficiently is crucial, as one simple fault is more than enough to cause a potentially fatal road traffic accident. At Oaksey Garage Ltd, in Cirencester, Gloucestershire, we specialise in covering all aspects of vehicle maintenance and repairs, ensuring that our customers' cars are roadworthy and safe. On many occasions we have had drivers visit us because their car just doesn't feel right. This is a regular issue, and it may be caused by any number of faults. Thankfully, we are able to carry out both interior and exterior inspections of your vehicle to determine any bodywork or engine difficulties. We are capable of completing comprehensive diagnostics to identify any issues with your vehicle's electrical systems. Air conditioning systems are prone to causing vehicle owners issues. They all incorporate a re-gas system, which regularly require servicing and repairs in order to continually function. During this work we will also test the entire system for leaks and repair any identified faults. 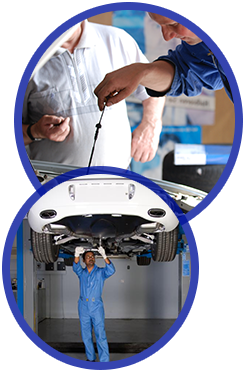 Contact us now, in Cirencester, Gloucestershire, to obtain more details regarding our vehicle maintenance and repairs.